Duke Energy is planning to build a large natural gas pipeline right in the middle of our neighborhoods. This is not like the lines under our streets or the lines that bring power to our homes. This is a high-pressure, high-capacity pipeline that would run past schools, daycare centers, places of worship, and people’s yards. NOPE has been leading the charge against Duke's plans for the past several months, prompting a major public outcry and opposition from businesses, schools, and elected officials. While we've succeeded in getting Duke to modify its original plans, that alone is not enough to ensure the safety of our neighborhoods, and to minimize potential environmental and economic losses. Thanks to your donations, NOPE has hired an attorney and requested to formally intervene in the case. This gives us a seat at the table in adjudicatory hearings, along with the right to appeal any decisions. It also helped us earn our first victory: NOPE formally opposed Duke's request not to send any more notices to property owners or hold additional public information meetings. The Ohio Power Siting Board denied that request, so residents will have another opportunity to ask questions and make their opposition known. Continuing this fight will require further funding, both for legal fees and potentially for expert testimony. Although several municipalities also plan to intervene on behalf of their own residents, NOPE collectively represents residents in all communities affected by Duke's plans. By contributing to NOPE, you will be helping support intervention, along with our continued efforts to spread the word about this project. 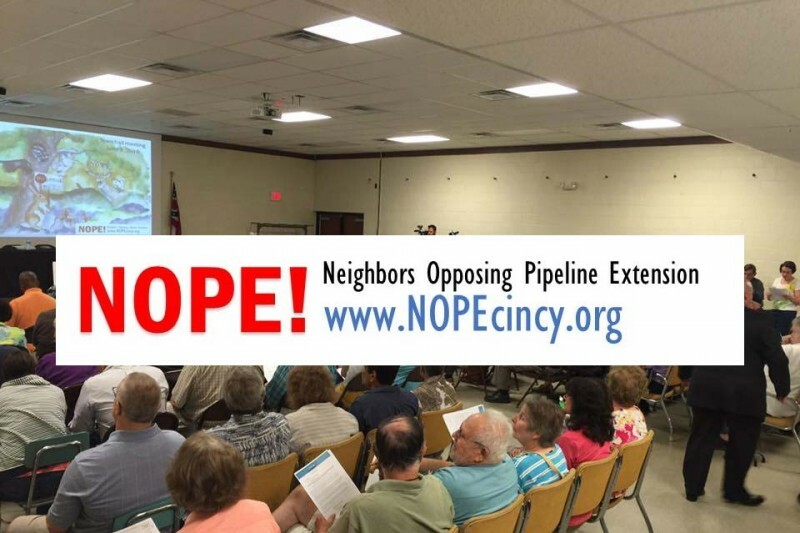 Please note that while NOPE has requested to intervene, the Ohio Power Siting Board will ultimately decide whether to honor that request. Further, our ability to present a case depends several factors, including how much money we raise. For any remaining funds that can't be spent on intervention, we will seek to donate money collected to other intervening municipalities or groups with similar missions, but we will not be able to issue any refunds. I support what NOPE is doing!! !